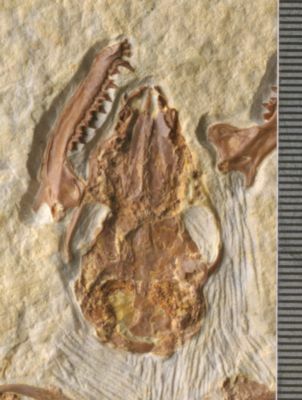 An undescribed specimen of Icaronycteris index from the Green River formation of Wyoming. The specimen includes most of the skeleton, the skull, and lower jaws. This media file was first entered in MorphoBank as M23687 in P220.